The football season is here! It is important to keep yourself at a level of sport and activity over the summer months ready for your return to the pitch. 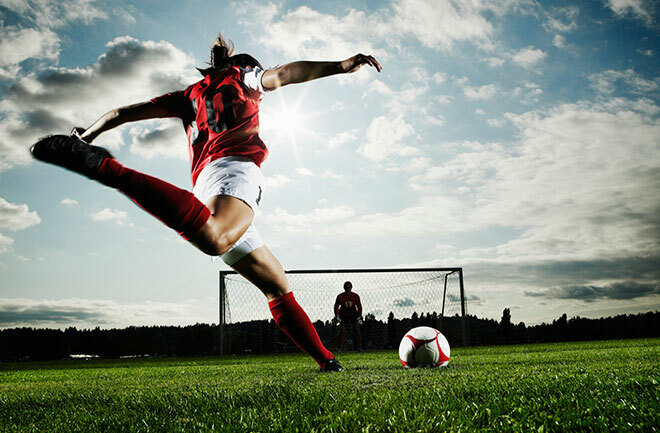 Many football injuries in amateur footballers occur because they have returned to the sport after a long break. Knee injuries are the most common especially to the Anterior Cruciate Ligament (ACL) (the Gazza injury) and the menisci. This is due to the terrain which is uneven and the sudden changes in direction that is required for this sport. In addition, nasty tackles can lead to unavoidable damage. in these muscles too. Make sure your footwear is also in good condition and you have the right style of boots for the surface you are playing on. Throw out those old worn out football boots and start breaking in a new pair! → Are you a golfer?